But even if you failed to do that, then PassMoz LabWin is always there to serve you and save you from a huge embarrassing moment. Enter the following commands, in order. If other people could physically access your computer, which has an easy-to-guess password, the chance is that your data might be compromised. If it succeeds to find your password then it will appear on the main interface of the program like the following screenshot. With a Desktop it is either on the side, rear or top of the Computer Case. Once this is done, you can restart your computer and you will be able to login to your user account with the new password that you set. Then, to pick up a credible and suitable Windows 7 password cracker tool will be very essential. But the condition is that we need another user account or a password reset disk. There are different ways to , but what if you need to retrieve the original password? This key varies depending on your computer's manufacturer. Step 3 : Insert the disk into locked computer and wait for Ophcrack to be loaded on the screen. You don't need to make a new one. So if you want to save time on this and get a quick result, please go to Method 2 directly. Now when you media boots then it will ask you for press any key to boot, just press any key on your keyboard. The one that is of interest to us here is the chntpw utility, which can be used to. Confirm the registry directory and select Windows registry file. Moreover, this is the Microsoft-approved method.
. How to Reset Windows 7 Password without Reset Disk Forgot or lost Windows 7 password and unable to login to Windows 7 computer? Select the user you want to reset password for locked Win 7 computer. Cons: Password recovery limits to 14 characters using only alphanumeric characters. If you wish you a shortcut, you can press Windows + Pause. You can use something like sethc. Microsoft has done a tremendous job to secure a Windows computer. Now that you've changed the password and successfully logged in, you'll want to revert utilman. The process is automatic — you don't usually need to type or click anything. Most importantly, there is no data loss during the process. All users and their password status are listed there. This is a huge advantage over system installation. Follow the instructions to recover Windows 7 password free. Please refer to it if necessary. Cons: Hard drive problem may happen during deleting. Only some lucky users get it to work in Windows Vista and Windows 7. 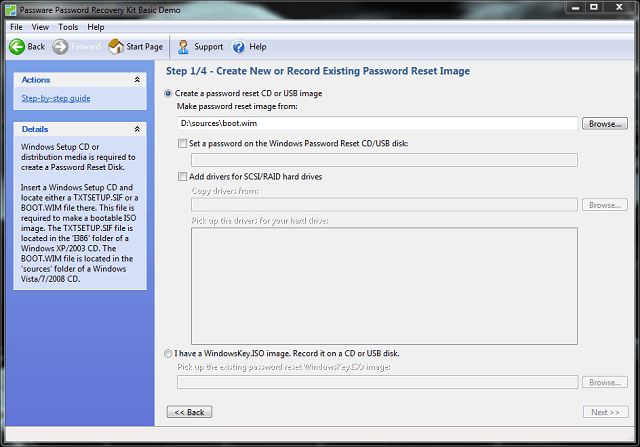 Step 4 Remove Windows 7 User or Admin Password You should now be able to see several options on the software interface. Windows 7 Professional 32bit Although with the production of Windows 8 and its free upgrade Windows 8. Step 3 Turn on Locked Computer and Change Boot Order Generally, all Windows computers are set in default to boot from hard drive. 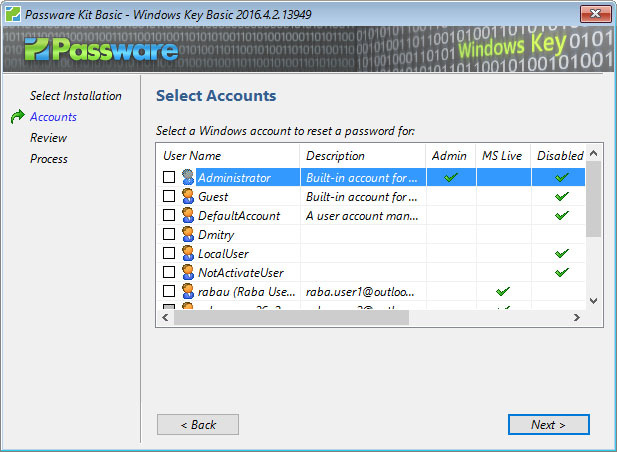 There are lots of free Windows password crackers available, but we've found that Ophcrack is the most effective. You will find the john-386. Both these methods work, but Method 2 is obviously the one with much less user input. The fatest and most comfortable one is Method 2. The Recovery process can be started by pressing a particular Key or Keys combination at Boot. Follow the step-by-step instructions below: Step 1. And if you are looking for a , click here. Don't worry it won't ask for any password. 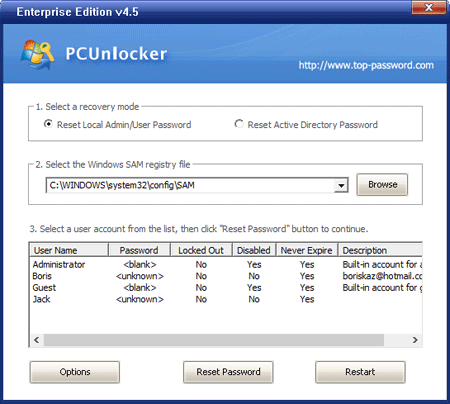 Part I: The Best Windows 7 Login Password Cracker Software With a Windows 7 password cracker software program, you can easily crack or unlock the forgotten password in several minutes no matter how you lost it or what situation are you in. Your locked Windows 7 machine will restart again. How To Crack Windows 7,8,10 Password Step 5. But if you are a little more daring and you have some confidence in your abilities, then you can try any one of the other three methods. See How to Create a Recovery Disc in Windows 7 for more details. It really means a lot to me. Step 4 : On the final page, setup a new password for your Microsoft account and apply the changes. Windows 7 Cracked Features: Its run like a premium keys windows. Rename this file to sethc. 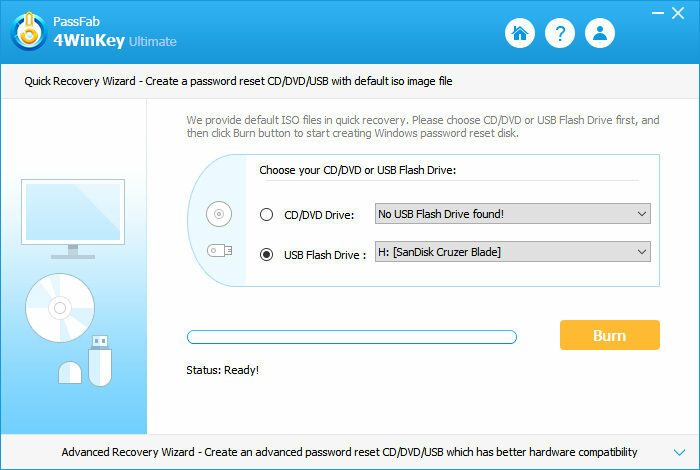 Remove Ophcrack disc and login Windows with recovered password. You can download free windows 7 password recovery tools to perform a free Windows 7 password recovery. When the passwords are displayed on the screen, write them down. Just follow wizard to save changes to windows registry file and quit out. Before picking up a password recovery tool, can we crack Windows 7 admin password without software? While you have a Windows 7 password reset disk, reset Windows 7 password with disk please. 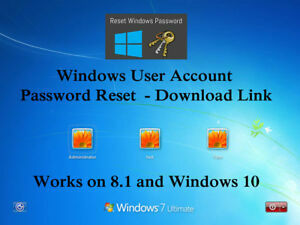 Without a password reset disk or other available user accounts, then how to crack Windows 7 password? So if , how should you do? Does anyone have any Windows 7 login password cracker that would do that? Enter the new password twice when prompted. Step 1: Find another computer and go to Ophcrack website. Hence, at that time you have only one option, just to format your windows operating system. Follow the steps in the Password Reset Wizard to create a new password. The password recovery process is automatic.